WHAT: MaMaPaLooZa – The first and only Mom-Branded Music Festival featuring fun activities for the entire family. Now in its 14th year this outdoor extravaganza will be held as part of the Summer on the Hudson series with New York Parks Dept. WHO: Presented by Mamapalooza, http://www.mamapalooza.com home of the Mom Music, Arts and Culture Movement. In partnership with Motherhood Foundation, non-profit M.O.M. (Museum Of Motherhood) & New York Parks Department. This year features “Daughters Forward” with performances, by Timbila, and Dawn Drake, hosted by poet Miriam Tabb where advocacy, activism and education happen across the world with performances by thousands. Organized by NOW-NYC’s Susan B Anthony award-winning mother scholar, M. Joy Rose. 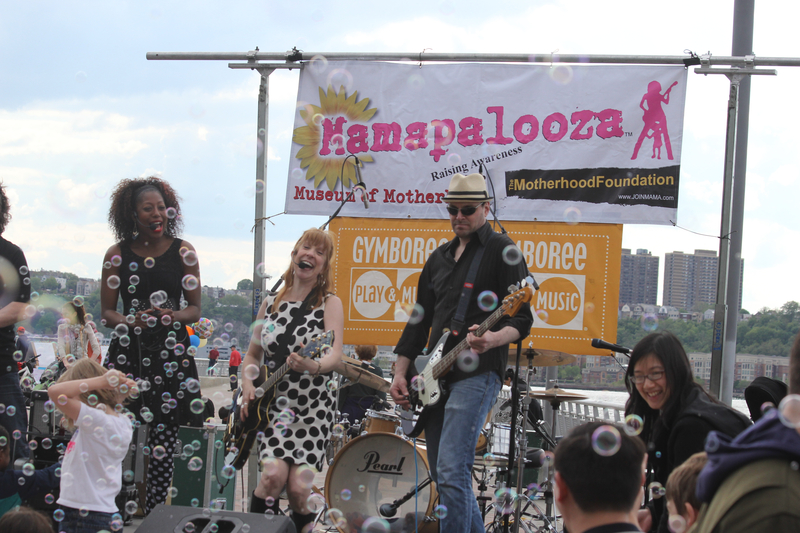 WHY: MAMAPALOOZA is an exciting opportunity with artists, educators, mothers, FEMpreneurs & families to: – foster personal and professional advancement; while benefitting mothers, fathers, and families seeking community. Women-owned businesses featured throughout the park. Great Green Playdate, Many Shades of Green Radio. Be prepared to shop if you want, but also enjoy lots of free activities. FAMILY EVENTS: Sunday, May 17th New York City (City of New York Parks & Recreation) Summer on the Hudson @ Riverside Park South. Pre-event exercise compliments of GYMBOREE at 11a. Noon to 5pm music all day, including vendors & crafts, food, sampling, drinks, giveaways and family fare. Riverside Park South – Pier I @ 68th Street and the Hudson River. Bring your good vibes and your pocketbook to shop! We Rock because we have a voice. We Rock because we have a vote. We Rock because we can.